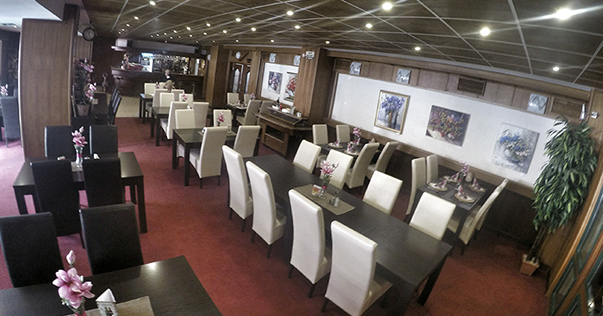 restaurant, night bar, meeting room, covered swimming pool, sauna, relax center, tennis-court, guarded parking, laundry, hotel safe, fax and copy services, internet, ski rental, bikes rental, fishing tool rental, possibility of horse rides, programm and guide services in the locality of Vihorlat, Poloniny and Lower Beskydas. Rich menu includes meals from domestic and foreign kitchen, typical regional meals, fish and sea creatures and meals from grill too. classical massage and bubble bath. arrange hunts, visit of wooden churches in neighbour villages. For foorball teams we can arrange the stadium and friendly matches. Od 24.03.2019 sú k dispozícii 2 tenisové kurty: cena: dvojhra: 4,- €/ 1 hod. štvorhra: 5,- €/ 1 hod. 2 rakety+loptičky: 3,50 €/ 1 hod.